I picked these up last week. 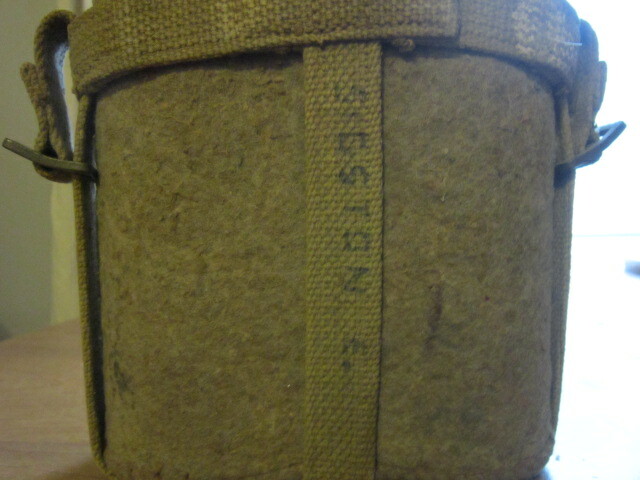 The SWW canteen has a C Broad Arrow on the inside of the holder and the name of Steston E on the back of it. 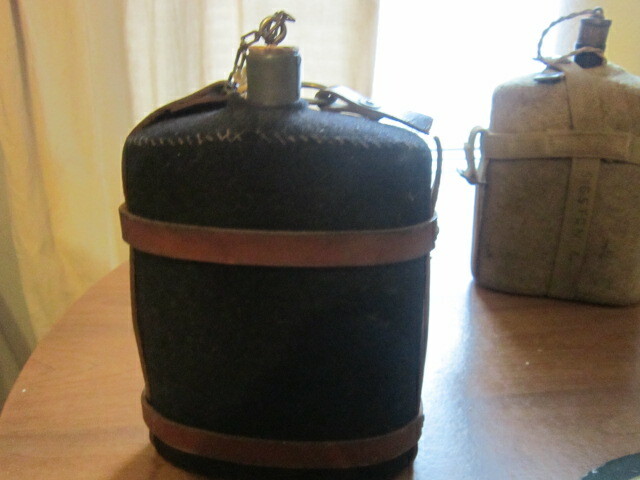 The FWW canteen has one of the top leather straps broken, but in other wise good condition. I take it the leather strapped one is officers? would be curious to see the other side of the rivet on the strap, any markings on the leather? I might be wrong because I am just getting back into collecting after a 30 yr break. 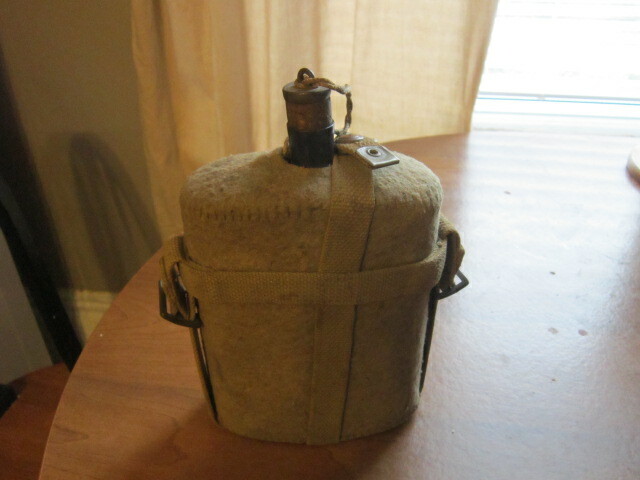 The leather strapped canteen is a First World War canteen. Because a leather is so old I really don't want to take it apart to see about a makers mark. As for taking it outside to take a picture of, it was a little old and damp that morning, and my old bones don't like cold and damp. 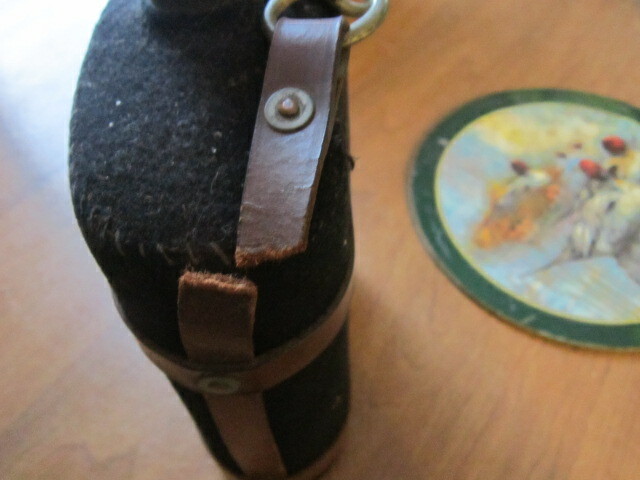 I am hoping to try a fix the leather strap, if any one know how, if not they are just for a shelf display, along with a Brodie helmet, a 105 shell and a 20mm empty casing that is dated 1942. My grandfather used to say that a canteen is where you go to get coffee and a water bottle is what you carry your water in. He must have remembered someone saying that to him during his service.... probably during training.